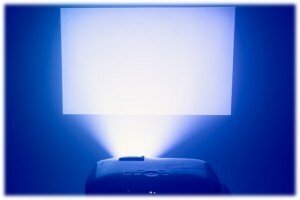 When shopping for a replacement projector or TV lamp, it is important to understand that there can be significant differences in the price and quality of the lamp depending on how it was manufactured and assembled. The lamp module’s bulb and housing may or may not be sourced from the same manufacturer as the original that came with the projector or TV. If the bulb is sourced from a different manufacturer than what was used in the original, there can be significant differences in quality depending on the source. There are four bulb manufacturers that are often used in original projector and TV lamp modules – Philips, Osram, Ushio, and Phoenix. A bulb can also be sourced from other after-market manufacturers, in which case it is called a compatible. Made from genuine OEM parts, this version is produced by the industry’s leading compatible projector lamp manufacturer to meet the specifications and requirements of the projector manufacturer, so it performs closely to the OEM lamp version. 0 Comment on "A lamp is not just a lamp"